Die casting is one of the fastest modes of production. Whether you need to cast parts in plastic, metal, resin, or another material, you’ll enjoy the advanced finishing options and the increased strength of parts made with die casting. Aluminum is one of the most common metals used for die casting because it works well with complex and thin-walled die casting designs. However, zinc alloys are also widely available for die casting and offer a different set of features. Some alloys even combine both metals when die casting. Before choosing the exact die casting material for your project, consider these different benefits offered by both aluminum and zinc alloys. Creating thin walled parts that are still strong enough not to warp or deform is one of the biggest challenges in die casting. Your choice of die casting material directly affects how thin you can design the walls of a part before experiencing serious manufacturing and part strength issues. Zinc wins the contest for thinnest walls when die casting because of its higher density and weight than aluminum. This results in a higher quality die casting product even when very complex structures and thin walls are used in the part design. While molten metal flows fairly quickly, pressure is still required during die casting to force the metal into every nook and cranny of a die for an accurate finished product. However, the amount of pressure needed depends on the alloy used for die casting. Aluminum requires a higher pressure level than zinc to produce the same kind of fine detail and exact tolerances. Choosing zinc exposes the finished part to less pressure and lower temperatures during manufacturing, resulting in a part with less residual stress. Aluminum is one of the most affordable die casting materials. It’s widely available and comes in many different alloy formulas to match your exact needs. Zinc and zinc aluminum are common as well within the die casting industry, but they do cost more than aluminum alloys. Don’t forget to work in the costs of plating or a specialty alloy if you need enhanced corrosion resistance while die casting, since neither aluminum or zinc is naturally perfect at resisting rust and corrosion. The pressure, heat, and stress created during die casting plays a large role in determining how long a part manufacturered this way will last. Some alloys handle the die casting process better than others by requiring less intensive methods for casting. Zinc parts tend to last much longer than those made from aluminum, especially when you are manufacturing tooling components rather than product parts this way. 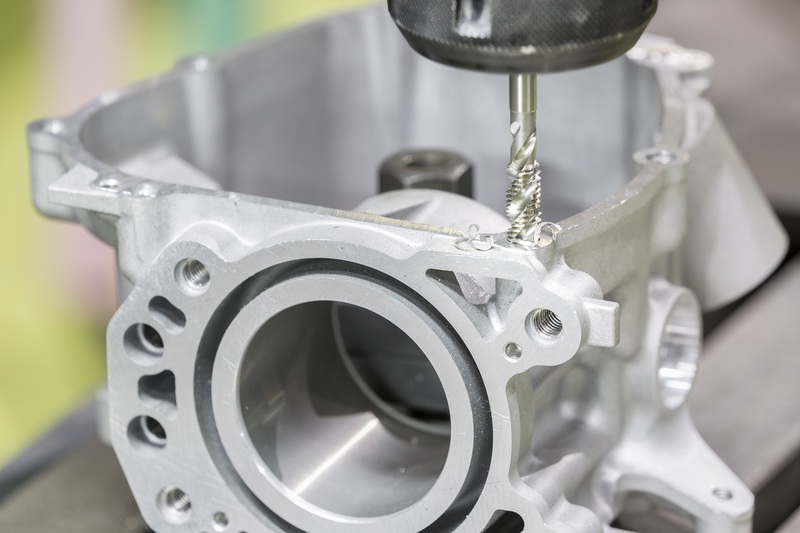 Die casting with zinc can extend the working lifespan of a tooling part by thousands of use hours when compared to the longevity of an aluminum part. Not only does choosing zinc for die casting extend the lifespan of a part, it also makes the component much stronger, especially against sudden impacts. If you’re designing cutting, pressing, or other tooling parts, you’ll definitely appreciate zinc’s ability to withstand tough use cycles with minimal deformation or wear. Aluminum can also handle a surprising amount of impact force after die casting, but not quite as much as zinc and zinc aluminum alloys. Die casting often reduces but doesn’t eliminate the need for secondary finishing. Unfortunately, polishing, grinding, or reshaping parts after die casting adds a lot of additional time and cost to the manufacturing process. As with so many other considerations, alloy selection plays a large role in determining how much finishing you must do after die casting. Aluminum reduces secondary finishing requirements greatly, but zinc alloys often remove the need for finishing after die casting entirely. These alloys are capable of producing very smooth or perfectly patterned surfaces while still releasing cleanly from the die casting cavities. There’s often no need for secondary polishing and grinding, especially with careful design of the die from the beginning. Making the switch from aluminum to zinc or zinc aluminum alloys is a big change. Make sure you’re ready for it by getting the help of a die casting expert. Browse the European Subcontracting Network database to find someone to help you streamline and simplify your manufacturing processes.